Zen participated in DSA 2016 exhibition. 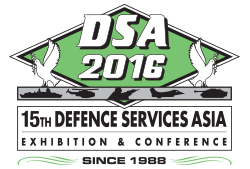 The Defence Services Asia Exhibition & Conference 2016 (DSA 2016) was a great success. Amongst the top five defence exhibition of the world held once in two years in Kuala Lampur, it attracted participation of 1,200 companies, and almost 60 nations with their own pavilions. Location: Kuala Lumpur, Malaysia, from 18 - 21 April 2016.